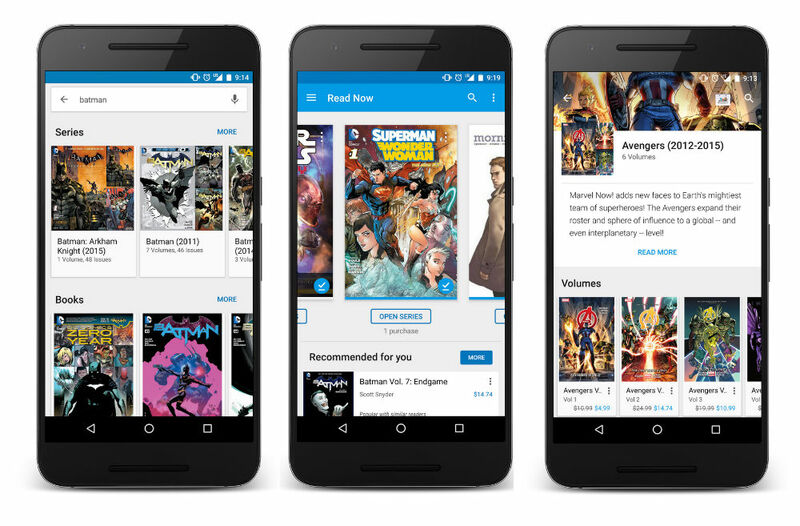 In an update to Play Books from Google, enjoyers of comic books will find a new way to enjoy their reading on mobile devices. Thanks to the update, when you are viewing comic books through the Play Books app, you can turn your device to the side, allowing you to view comics and read them with vertical scrolls. It should bring an easier way to digest each cell individually, instead of cramped on a single page. Your comics will be organized by series and individual books, which means it won’t take long to find what you are looking for inside of the application. Additionally, Google Play has a new section for all things comics, which includes all of the top publishers like DC, Marvel, Dark Horse, Image, and IDW. In need of a few new comics? Check out Google Play’s newly curated selection right here, and if spending money doesn’t sound fun, you can find a ton of free comics here. This update will be rolling out to Android users over the next few days in the US, and other users across the globe.